What's Wrong With Kayla The Killer Whale? It has been well documented that Tilikum spends the majority of his time logging at the surface of his tank, but it turns out he is not the only one. At a recent visit to SeaWorld Orlando, Kayla also spent an exorbitant amount of time stationary at the surface while her tankmates swam circles around her. Kayla was born in November 1988, making her the second oldest captive born killer whale in SeaWorld's collection at only 25 years old. In Death at SeaWorld, David Kirby reported that Kayla had been taken away from her mother at 2 years old. In October 2005 she gave birth to Halyn in San Antonio. Having never learned maternal skills, she rejected her calf. Halyn died in San Antonio at only two and a half years old. In November 2006 Kayla was moved from San Antonio to Orlando. According the NOAA, female Killer Whales in the wild typically live about 50 years but can live as long as 100 years. 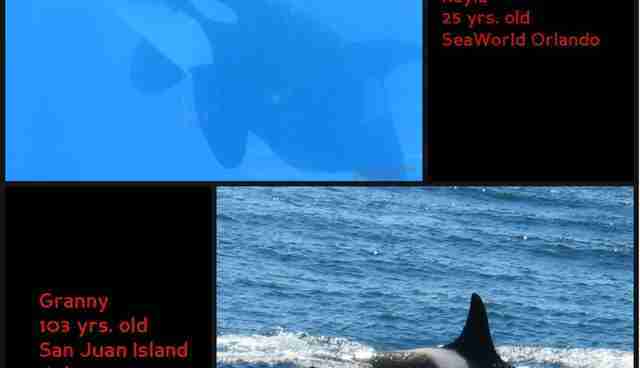 Granny, the infamous matriarch of the Southern Resident Killer Whales, is estimated to be 103 years old. Granny made waves earlier this year when she was spotted after traveling 800 miles in a little over a week with her pod. 25 year old Kayla logs at the surface as the others swim circles around her. 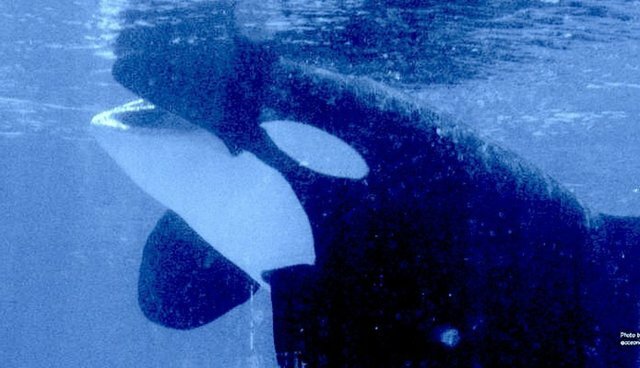 Naomi Rose of Animal Welfare Institute observed that "the logging behavior was excessive and especially troubling given the activity of the other whales in the tank"